Two months after Peter Waldron’s consecration as bishop of Killala on 24.2.1815, the priests of the diocese gathered, as accustomed and as required, on Holy Thursday for the celebration of the Holy Week ceremonies in the chapel in Ardnaree, Ballina. It is not clear how many clergy were present but Charles Burke, recently appointed to Templeboy, was not among them. The relationship between Burke and Waldron was already strained due to Burke’s efforts to block Waldron’s appointment to Killala, Burke’s reluctance to move from Kilbelfad to Templeboy and not least because of Burke’s previous turbulent history. Burke’s absence from Ballina in Holy Week was noted. No sooner did I appear before him, but he immediately suspended me. I asked him the reason. He said he would give none; but on reflection, he replied, he would have no clergymen in his diocese that would appear at an assizes. I told him I could not suspend the laws of the country; nor could I exempt myself from the obligation of appearing there, after the service of a Crown summons; besides that I was not the only clergyman there; that there were two from the diocese of Tuam there, on examinations as the R.C. ministers of bigamy . . . that my cause was not a scandalous one; that I only went as an evidence . . . The letter was signed by James Haran (Castleconnor), Thomas Magee (Ardagh), Daniel McNamara (Easkey), Patrick Flanagan (Kilbride), John Burne (Templeboy), Thomas Munnelly (Dunfeeny), John Kelly (Dromard), James Gilboy (Moygownagh), William Kelly (Skreen), John Magee (Lacken). The letter was, in effect, a considerable challenge to Waldron, then just a few months in the diocese. As you are unwilling to comply with our commands, which had not been issued unless from a pure zeal for the renewing of the faith and promoting the edification of the faithful and with the desire of removing of scandal without noise and the further loss of souls; you have greatly abused both our gentleness and clemency. You now demand in a threatening style, either that the sentence should be rescinded, truly a mild sentence, and in regard to your former course of life too moderate; which we communicated to you verbally before the priests in the course of our visitation, with the loss of particular emoluments, and the voluntary resignation of income, which ought to be paid by you to Us, grieving in our inmost heart that the affair had so demanded; or you demand that this sentence should be given to you again in writing. Since therefore an occasion appeared on your part of a desirous amendment, which it truly grieves us is neglected; for this time to enumerate the many things contrary to the canons of the holy Roman Church and the statutes of this province, which it does not shame you to have done: as also because you stood forth as a notorious drunkard; of which fact, in the greater week itself of the current year, on the road from hence to Ballinrobe, and especially in the house of Mr Thomas Walsh of Belcarra, you exhibited a fresh and remarkable specimen, with the great aggravation and scandal of witnesses. Now because you have demanded it, and lest we should be partakers of the scandal given by you, we, by these presents declare you suspended from every ecclesiastical office and the exercise of every clerical and priestly employment of whatever kind; so that no one should be ignorant that it is not lawful for you in future to celebrate Mass, or to perform any other ecclesiastical duty whatever in the diocese of Killala. Moreover if you do this you will incur the penalties inflicted by law in similar cases. Wherefore we have given these letters, confirmed by our own hand, this 13th of May, in the year of Redemption, 1815. Seeing that there is no mention made of my name in the sentence of suspension fulminated by your illustrious Lordship and delivered to me today by the Rev. Mr Edmund Hughes, it did not rightly appear to me that the sentence conveyed an answer to my letter delivered on 12th May current, in which I had humbly sought that you would kindly name to me the accusers. For as yet the accusers are unknown to me, and my name is not expressed in the sentence of suspension: therefore it did not appear just that that sentence should be obeyed. When, however, the sentence is correct and full, it is necessary that I should comply with it. However there was no response from Waldron – ‘I was not considered worthy of an answer’ – and Burke felt obliged at appeal to the diocesan Chapter. 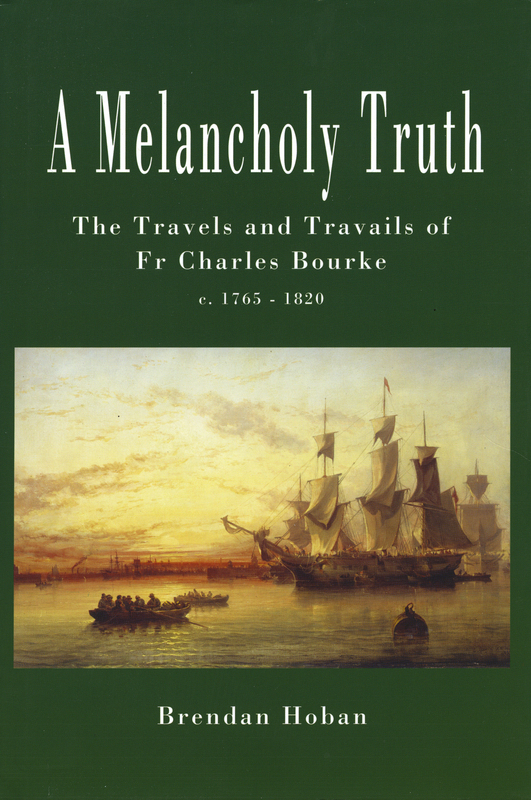 But Waldron would have none of it and before the assembled priests ordered Bourke to leave the diocese. Clearly Burke was a formidable adversary, intelligent, astute, well versed in canonical procedures and, extraordinary for the time, prepared to challenge his new bishop on a number of fronts. It was clear that he was taking the initiative from Waldron and anxious to press home whatever advantage he saw, not least due to Waldron’s failure to sort out his diocese after Dominick Bellew’s long episcopate, much of which Bellew had spent trying to extricate himself from Killala to more amenable surroundings. In a postscript Burke complains that Waldron did not reply to his letter of 22nd May, ‘rendered by me in Latin’ but felt that the appeal, made before the priests of the diocese, had the desired effect in intimidating Waldron. Soon after, Waldron asked the Rev. John Magee, parish priest of Lacken, and a friend of Burke to intervene: ‘to speak to me on the subject of an accommodation, as he now dreaded I would write and expose in the public prints, not only his deficiency in ecclesiastical discipline but the extortion, incapacity, weakness and fraudulent measures of both himself and his clergy.’ For a long time Burke resisted Magee’s ‘expostulations’ as he regarded the publishing of Waldron’s transactions as a way of checking ‘his Lordship’s unlawful and ill-meaning proceedings’. Eventually, though, he yielded to Magee’s advice and presented himself to Waldron in the hope that an agreement could be reached ‘on reasonable and honourable terms’. Burke though ‘more inclined for the olive branch’ believed that ‘it was not any kindness, charitable impulse, or virtuous affections of religion’ that inclined Waldron towards seeking an accommodation but rather ‘the servile fear of being exposed, originating from the poorest and meanness of all passions, that of egotism’. Burke now found himself in the worst possible situation: a history of conflict, few options and now suspended. Where could he go from here? Back to his native Ballycastle? Or stick it out in Templeboy, hoping to persuade or bully Waldron into lifting the suspension?